For many of us, January equals weight loss, or an at least an attempt to shed the excesses of the holidays or the past year. I am no different. Inevitably I am on some "new" diet to detox myself of sugar, gluten, corn, soy, alcohol, caffeine ... should I go on? The fun part of going on these different diets, with different rules and eating regimes, is that I learn about foods that I would have never eaten otherwise. Enter spelt. Since I am prohibited from eating refined carbs on this 28-day challenge, I searched out different flours. It turns out there are many. Almond, coconut, flaxseed, arrowroot, quinoa, and spelt flour to name a few. I attempted to make spelt spaetzle. Not good. Since spelt flour doesn't have much gluten, the spaetzle were flabby and without toothiness. So I started thinking about foods that don't need much structure or lift. Crackers seemed perfect. And they were. 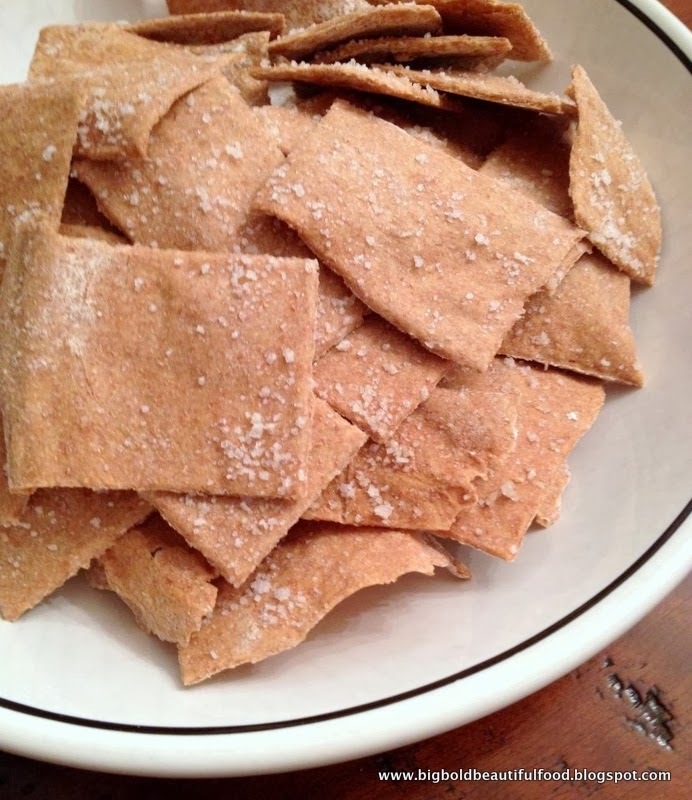 Light, thin, crunchy, and easy to make, spelt crackers are a delicious and much more economical alternative to Wheat Thins or other crackers. You can top them with anything you like, including salts and different seeds. I used this recipe from Smitten Kitchen.